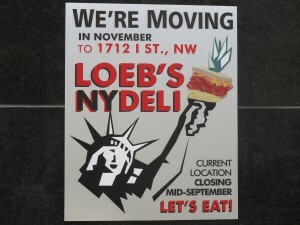 PoPville » Loeb’s Deli Moving (Nearby) Reopening in Nov.
Loeb’s Deli Moving (Nearby) Reopening in Nov.
Loeb’s Deli was located at 832 15th Street, NW. By the by, anyone happen to know who is moving into the space? 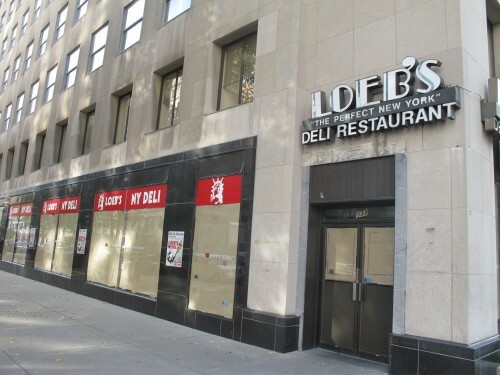 There were a number of adjoining retail spaces on the block that had been vacated. We judged the restaurant to mostly positive reviews back in April ’09. 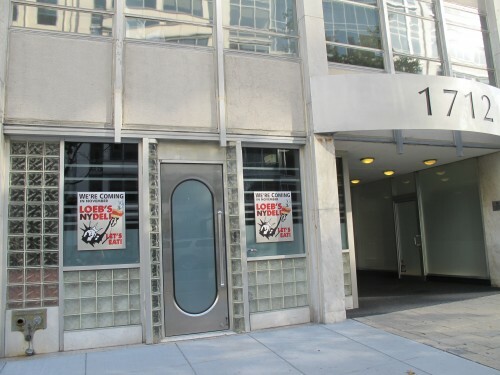 It’ll be opening at 1712 I St, NW in November (photo below). It’s hard to tell but it looks like they might be moving into a smaller space. Hopefully, it won’t affect the quality of a mean pastrami sandwich.